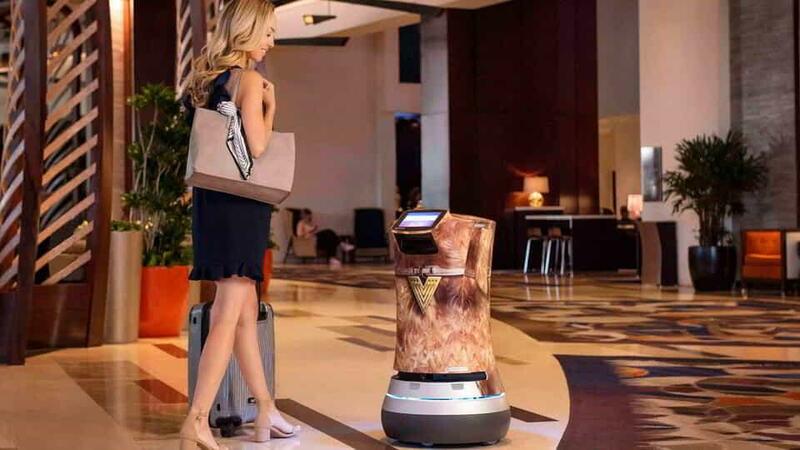 Vdara Hotel & Spa welcomes the newest additions to its team with Fetch and Jett – two robots responsible for delivering snacks, sundries, and even spa products directly to guest suites. 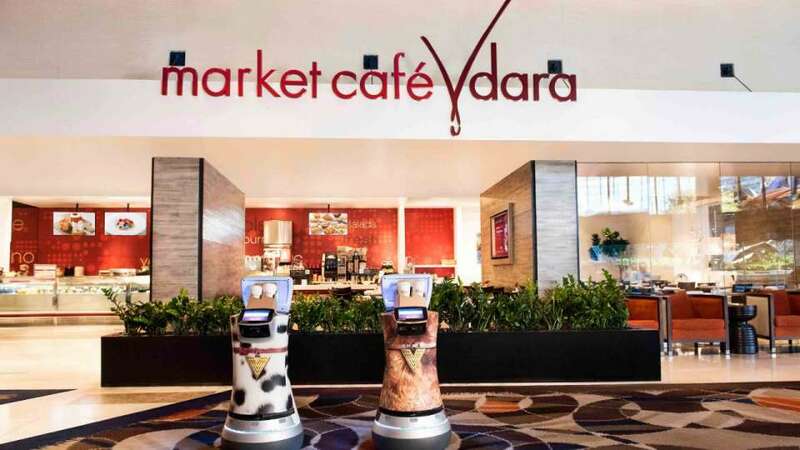 These talented bots work alongside their human colleagues to transport an array of requested amenities including coffee, sodas, snacks and personal items from Market Café. 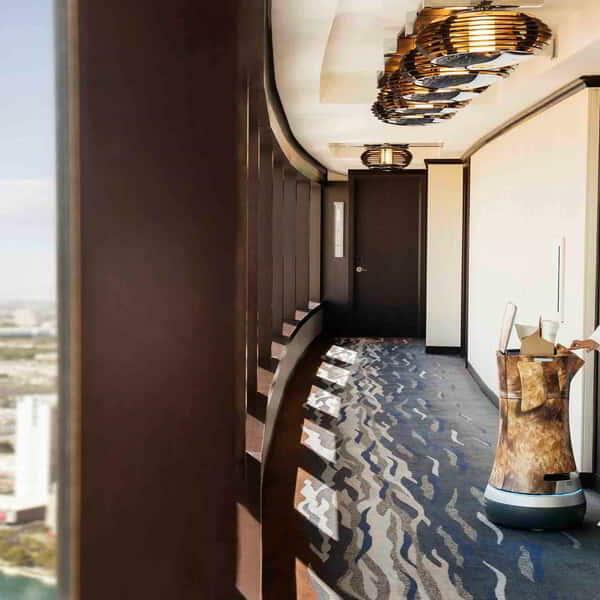 After ordering via in-suite tablet, Fetch or Jett will be sent up to the suite with the items and call the guest’s suite when they arrive. 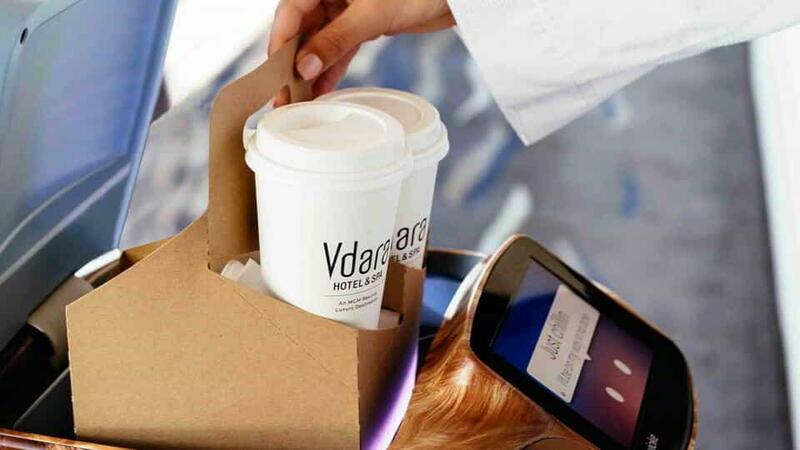 Once the suite door opens, their lids automatically unlock for guests to retrieve their snacks and items. 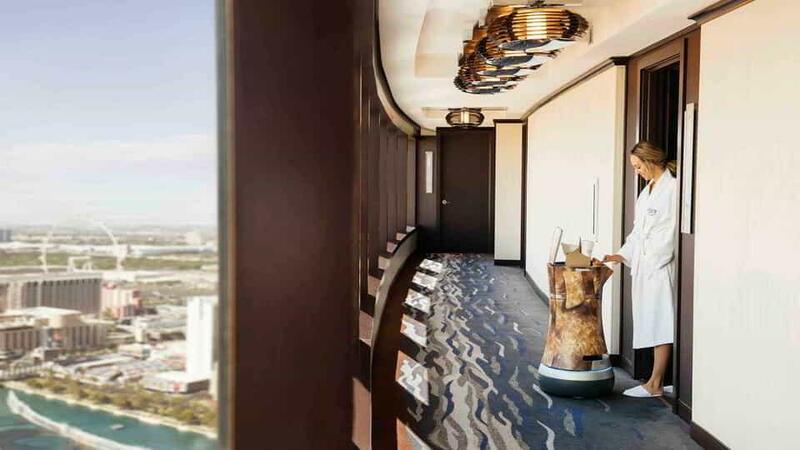 Fetch and Jett then ask how the guests is enjoying their stay before traveling back to their docking stations – all typically taking less than 10 mins. This is delivery done differently. 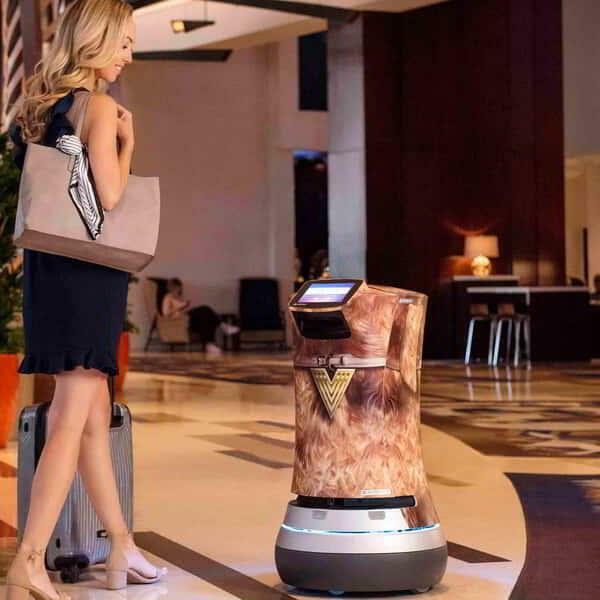 Vdara delivery robot in the hallway. 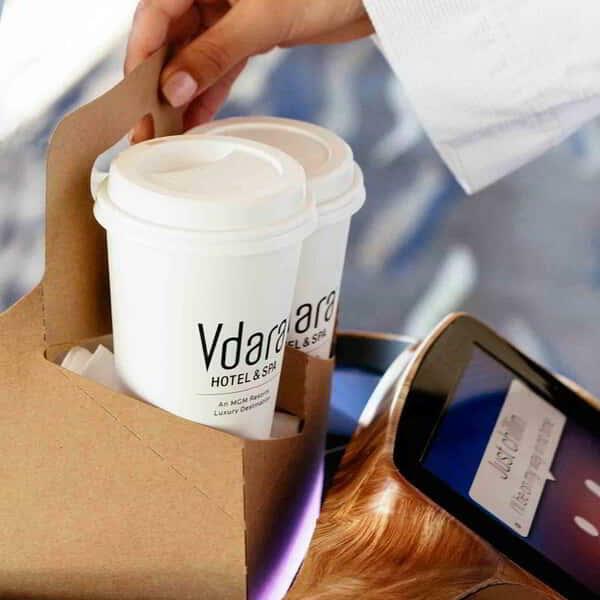 Vdara robots delivering coffee to a customer. 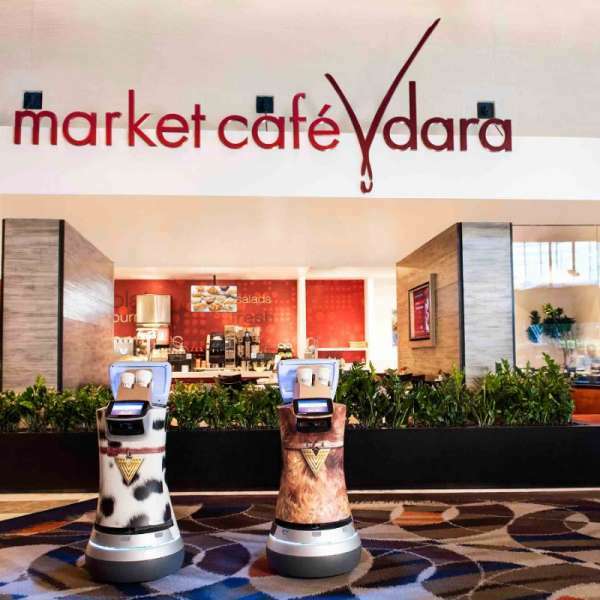 Vdara delivery robots in front of Market Cafe.